Creator of AdvandedHud, AddonManager, ActivateCommands released a new addon. 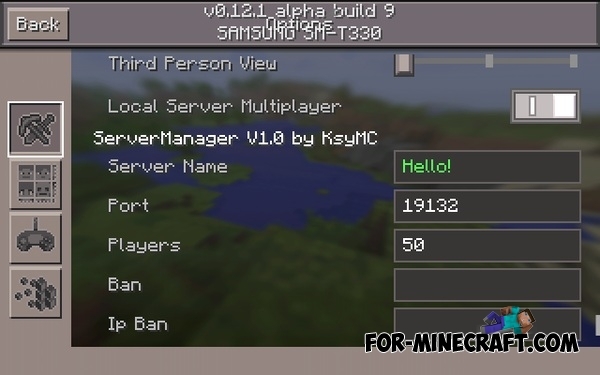 After installation, you can manage your local MCPE server right in the game! The addon is designed to easily create and manage MC:PE server. It will only work when you go to the server. Besides addon does not support plugins. 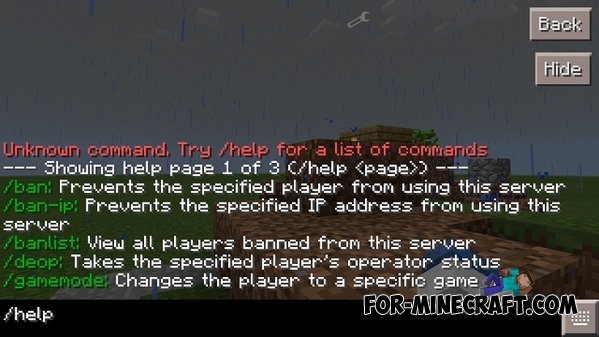 By default, the addon includes various commands to control (kick, gamemode, etc). - Added the section «ban». - Support for 11 build. - Fixed a crash when joining a server. - Fixed a bug with the command «ban». - Support for MCPE 0.12.1 release version. - Fixed / pardon, / pardon-ip command. - Support for MCPE 0.13.0. In the settings you will find a fields to configure the server. 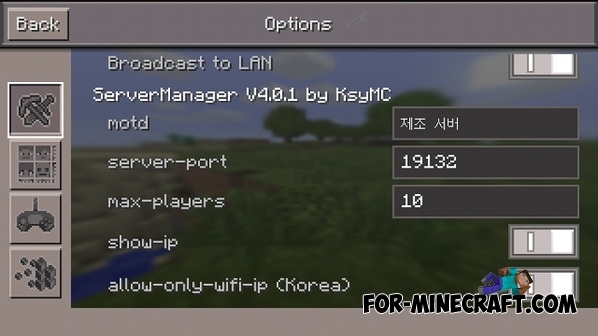 In the motd, you can enter a description of the server; in server-port - port; max-players - maximum number of players; show-ip - enables and disables the display of ip address. When you have configured the server, the second player has to connect to you. Come to your world and the player must be connected to your server. Now you can manage the server with the commands. 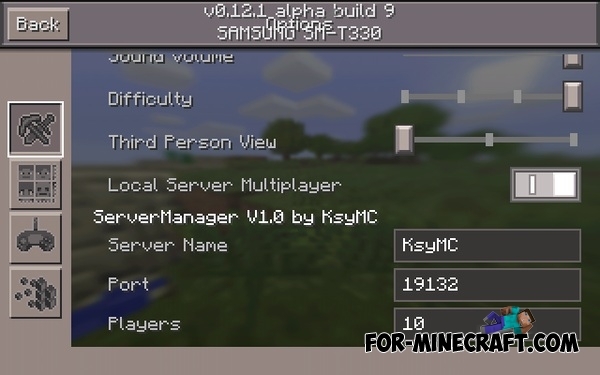 ActivateCommands addon for MinecraftPE 0.12.1/0.13.0This is an incredible add-on by KsyMC, which adds a variety of different console commands. Addon Manager for MCPE 0.11.1 / 0.11.0This addon allows you to manage other addons that are installed in your Minecraft Pocket Edition. What is the ip when you make the server?